While indeterminacy is a recurrent theme in philosophy, less progress has been made in clarifying its significance for various philosophical and interdisciplinary contexts. This collection brings together early-career and well-known philosophers—including Graham Priest, Trish Glazebrook, Steven Crowell, Robert Neville, Todd May, and William Desmond—to explore indeterminacy in greater detail. 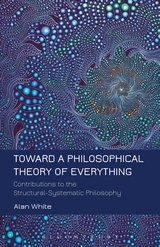 The volume is unique in that its essays demonstrate the positive significance of indeterminacy, insofar as indeterminacy opens up new fields of discourse and illuminates neglected aspects of various concepts and phenomena. 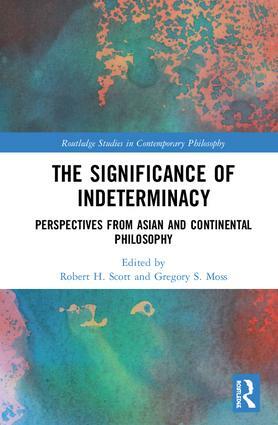 The essays are organized thematically around indeterminacy’s impact on various areas of philosophy, including post-Kantian idealism, phenomenology, ethics, hermeneutics, aesthetics, and East Asian philosophy. They also take an interdisciplinary approach by elaborating the conceptual connections between indeterminacy and literature, music, religion, and science. 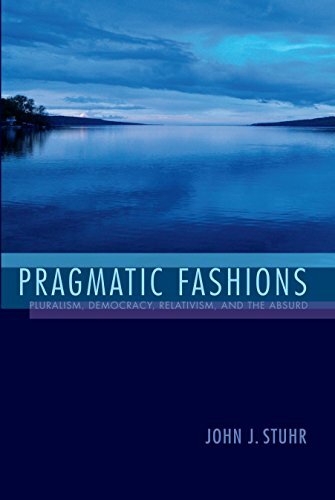 John J. Stuhr, a leading voice in American philosophy, sets forth a view of pragmatism as a personal work of art or fashion. Stuhr develops his pragmatism by putting pluralism forward, setting aside absolutism and nihilism, opening new perspectives on democracy, and focusing on love. He creates a space for a philosophy that is liable to failure and that is experimental, pluralist, relativist, radically empirical, radically democratic, and absurd. Full color illustrations enhance this lyrical commitment to a new version of pragmatism. Focusing on the central striking claim that there is something rather than nothing - that all necessity is consequent - Tritten engages with a wide range of ancient as well as contemporary philosophers including Quentin Meillassoux, Richard Kearney, Friedrich Schelling, Émile Boutroux and Markus Gabriel. 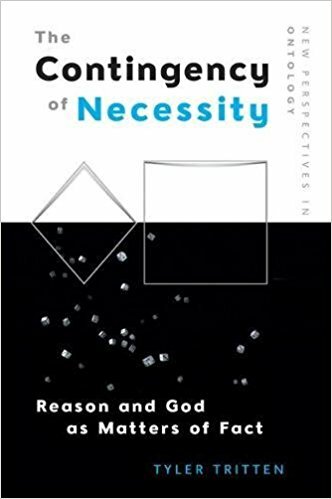 He examines the ramifications of this truth arguing that even reason and God, while necessary according to essence, are utterly contingent with respect to existence. 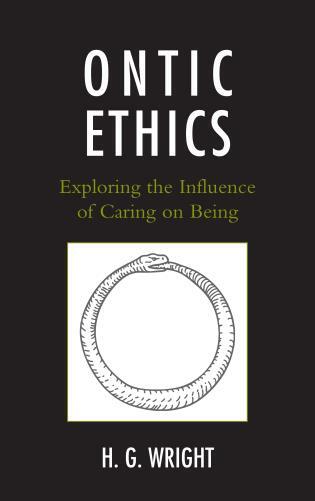 Ontic Ethics: Exploring the Influence of Caring on Being claims that to care more and better is to exist more and better. Much has been written about how character affects action, but this book describes how actions and passions affect character ontologically. H. G. Wright identifies an independent, not culturally relative, source for the ethics of care in an ontology of the self. Ethical and aesthetic flourishing is therefore at once ontological flourishing of the largest, truest self. The book includes many illustrations of how behavior and attitudes have consequences not only for who, but for how much we are. It refines the concept of flourishing, originating with Aristotle, and shows how values that encourage flourishing of the world as it relates to any person, reflexively enhance the flourishing of that person, hence offering a bridge across the fact/value chasm and a cure for ethical relativism. Fifteen important papers about Hegel covering forty-five years of work by one of America's most prominent Hegel scholars. Buy it from the publisher or from Amazon. Despite there being deep lines of convergence between the philosophies of Alfred North Whitehead, C. S. Peirce, William James, John Dewey, and other classical American philosophers, it remains an open question whether Whitehead is a pragmatist, and conversation between pragmatists and Whitehead scholars have been limited. Indeed, it is difficult to find an anthology of classical American philosophy that includes Whitehead’s writings. These camps began separately, and so they remain. This volume questions the wisdom of that separation, exploring their connections, both historical and in application. The essays in this volume embody original and creative work by leading scholars that not only furthers the understanding of American philosophy, but seeks to advance it by working at the intersection of experience and reality to incite novel and creative thought. This exploration is long overdue. Specific questions that are addressed are: Is Whitehead a pragmatist? What contrasts and affinities exist between American pragmatism and Whitehead’s thought? What new questions, strategies, and critiques emerge by juxtaposing their distinct perspectives? Buy it from the publisher or Amazon. Platonic Production presents Prof. Stanley Rosen’s Etienne Gilson Lectures, delivered at the Institut Catholique de Paris and now available in English for first time. His lectures bring Heidegger and Plato into a conversation around a basic philosophical question: Does the acquisition of truth resemble discovery or production? While Rosen undertakes a close examination of Heidegger’s engagement with Plato, exposing some ways in which that engagement constitutes a misreading, the goals of his study are not exclusively critical. In arguing against the claim that Plato stands at the beginning of Western metaphysical history which culminates in late modern nihilism, Rosen also points out how close Plato is to some characteristically Heideggerean themes and formulations. Heidegger is critiqued from the standpoint of Plato, but it is equally true that Platonic themes (such as the hypothesis of the Forms) are read anew in light of the questions raised by Heidegger. In keeping with the overarching theme of the Gilson Lectures, Rosen’s six talks, and the introduction by the volume’s editor aim to demon-strate that metaphysics is always possible, indeed inescapable, by meditating on the two philosophers whose thinking, especially where it diverges, centers on that very point. A trilogy advancing a systematic philosophical theology. This three-volume set gathers together Robert Cummings Neville’s systematic development of a new philosophical theology. Each volume, Ultimates, Existence, and Religion, considers first-order questions generally treated by religious traditions through philosophical methods while reflecting Neville’s long engagement with philosophy, theology, and Eastern and Western religious traditions. His philosophical theory of value enlightens religions’ approaches to ethics, spirituality, and religious institutional living and collaboration. Through the development of philosophical theology, Neville has built a unique, multidisciplinary, comparative, nonconfessional theological system, one that addresses concerns and provides tools for scientific and humanistic scholars of religion, postmodern thinkers, intellectuals from both secular and religious backgrounds, and those interested in the global state of religion today. 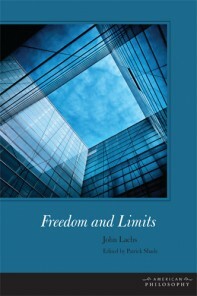 Freedom and Limits is a defense of the value of freedom in the context of human finitude. A contribution to the American tradition of philosophy, it focuses attention on moral problems as we encounter them in daily life, where the search for perfection and the incessant drive to meet obligations make it difficult to attain satisfaction. The book argues that uniformity is unproductive: Human natures are varied and changeable, making the effort to impose a unitary good on everyone futile. Moreover, we don’t need to strive for more than what is good enough: Finite achievements should be adequate to satisfy finite people. The ultimate aim of the book is to reclaim the role of philosophy as a guide to life. In doing so, it presents discussions of such important philosophers as Fichte, Hegel, Peirce, Dewey, James, and, above all, Santayana. 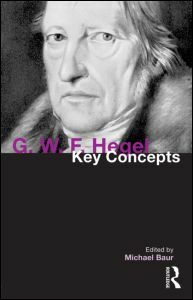 G. W. F. Hegel: Key Concepts provides an accessible introduction to both Hegel's thought and Hegel-inspired philosophy in general, demonstrating how his concepts were understood, adopted and critically transformed by later thinkers. 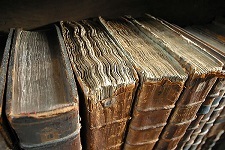 The first section of the book covers the principal philosophical themes in Hegel's system: epistemology, metaphysics, philosophy of mind, ethical theory, political philosophy, philosophy of nature, philosophy of art, philosophy of religion, philosophy of history and theory of the history of philosophy. The second section covers the main post-Hegelian movements in philosophy: Marxism, existentialism, pragmatism, analytic philosophy, hermeneutics and French poststructuralism. Lenn E. Goodman is Professor of Philosophy and Andrew W. Mellon Professor in the Humanities at Vanderbilt University in Nashville, Tennessee. Trained in medieval Arabic and Hebrew philosophy and intellectual history, his prolific scholarship has covered the entire history of philosophy from antiquity to the present with a focus on medieval Jewish philosophy. 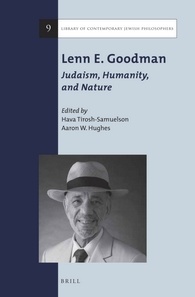 A synthetic philosopher, Goodman has drawn on Jewish religious sources (e.g., Bible, Midrash, Mishnah, and Talmud) as well as philosophic sources (Jewish, Muslim, and Christian), in an attempt to construct his own distinctive theory about the natural basis of morality and justice. Taking his cue from medieval Jewish philosophers such as Maimonides, Goodman offers a new theoretical framework for Jewish communal life that is attentive to contemporary philosophy and science. Ernst Cassirer and the Autonomy of Language examines the central arguments in Cassirer’s first volume of the Philosophy of Symbolic Forms. Gregory Moss demonstrates both how Cassirer defends language as an autonomous cultural form and how he borrows the concept of the “concrete universal” from G. W. F. Hegel in order to develop a concept of cultural autonomy. While Cassirer rejected elements of Hegel’s methodology in order to preserve the autonomy of language, he also found it necessary to incorporate elements of Hegel’s method to save the Kantian paradigm from the pitfalls of skepticism. 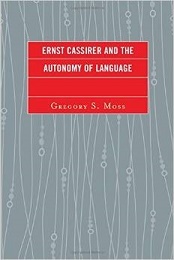 Moss advocates for the continuing relevance of Cassirer’s work on language by situating it within in the context of contemporary linguistics and contemporary philosophy. This book provides a new program for investigating Cassirer’s work on the other forms of cultural symbolism in his Philosophy of Symbolic Forms, by showing how the autonomy of culture is one of the leading questions motivating Cassirer’s philosophy of culture. With a thorough comparison of Cassirer’s theory of symbolism to other dominant theories from the twentieth century, including Heidegger and Wittgenstein, this book provides valuable insight for studies in philosophy of language, semiotics, epistemology, pyscholinguistics, continental philosophy, Neo-Kantian philosophy, and German idealism. A highly accessible reading of Whitehead’s writings on education and their connection to his metaphysics. Educators are familiar with Alfred North Whitehead’s three stages of education: romance, precision, and generalization. Philosophers are familiar with his metaphysical theories about the primacy of temporal processes. In Modes of Learning, George Allan brings these two sides of Whitehead’s thought together for the first time in a book suitable for both those initially approaching Whitehead’s metaphysics and experts. Allan develops a series of analogies between Whitehead’s ideas about how we learn and key concepts in his later metaphysical writings, demonstrating that both how we learn and how the world changes involve a tension between open-ended exploration and systematic organization. Novel ideas free us from the blinders imposed by old habits and beliefs. Yet only when these ideas are integrated with the old ways are we able to improve our individual and collective lives—until changing circumstances call for further new ideas and fresh integrations. Using a rich variety of examples, Allan illuminates the metaphysical ideas he explores by tethering them concretely to the educational practices in which they are rooted. This shows a key but neglected feature of Whitehead’s thought: his pragmatic theory of truth, with its functionalist approach to experience and its humanistic appreciation of the frailty of all human endeavors. George Allan is Professor Emeritus of Philosophy at Dickinson College. He is the author of many books, including The Importances of the Past: A Meditation on the Authority of Tradition; The Realizations of the Future: An Inquiry into the Authority of Praxis; The Patterns of the Present: Interpreting the Authority of Form; and Higher Education in the Making: Pragmatism, Whitehead, and the Canon, all also published by SUNY Press. This is the first book-length account of how Maurice Merleau-Ponty used certain texts by Alfred North Whitehead to develop an ontology based on nature, and how he could have used other Whitehead texts that he did not know in order to complete his last ontology. This account is enriched by several of Merleau-Ponty’s unpublished writings not previously available in English, by the first detailed treatment of certain works by F. W. J. Schelling in the course of showing how they exerted a substantial influence on both Merleau-Ponty and Whitehead, and by the first extensive discussion of Merleau-Ponty’s interest in the Stoics’s notion of the twofold logos - the logos endiathetos and the logos proforikos. This book provides a thorough exploration of the consonance between these two philosophers in their mutual desire to overcome various bifurcations of nature, and of nature from spirit, that haunted philosophy and science since the seventeenth century. This book elucidates how the so-called “problem of inference,” long a matter of debate among philosophers of logic, epistemology, language, and other domains of speculation, is inextricably tied to the issue of how, in the classical idiom, Knowing is of Being. Motivating this project is an underlying question that guides the discussion throughout: namely, How is it most rational to orient ourselves in thinking about the way that the inferential intelligence articulates the actual? The principal task of the essay as a whole is to think-through this metaphysical question by addressing the Reason (Vernunft) of the act of inference critically and from an onto-epistemological standpoint. This book explores the contested place of metaphysics since Kant and Hegel, arguing for a renewed metaphysical thinking about the intimate strangeness of being. There is a mysterious strangeness to being at all, and yet there is also something intimate. Without the intimacy, argues William Desmond, we become strangers in being; without the mystery, we take being for granted. The book locates the origin of metaphysics' contested place in recessed equivocations in Kantian critique and Hegelian dialectic, equivocations that keep from view the more original sources of metaphysical thinking. It takes issue with contemporary claims about the "overcoming of metaphysics" associated with Heidegger, the "deconstruction of metaphysics" associated with Derrida, as well as with claims that a new "post-metaphysical thinking" is necessary. The book begins with an exploration of the status of metaphysics in light of equivocations in Hegelian dialectic. It then offers an assessment of metaphysics in light of critique and deconstruction. Finally, it proposes an affirmative rethinking of the constant perplexities of being in terms of a metaxological metaphysics. This metaphysics involves a thinking of the between (metaxu ) that characterizes Desmond's singular approach, and that he also has distinctively developed in his other works. 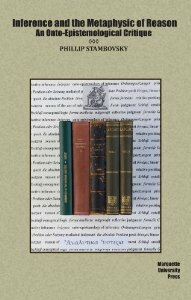 Addressing the problematic state of metaphysics in recent centuries, this metaxological metaphysics tries to be true to both the strange mystery and the intimacy, to be faithful to the constant perplexities of being, and to recuperate appreciatively some of the rich resources of the longer philosophical tradition. Career-spanning selections from the writings of William Desmond. Known especially for his original system of metaphysics in a trilogy of books published between 1995 and 2008, and for his scholarship on Hegel, William Desmond has left his mark on the philosophy of religion, ethics, and aesthetics. The William Desmond Reader provides for the first time in a single book a point of entry into his original and constructive philosophy, including carefully chosen selections of his works that introduce the key ideas, perspectives, and contributions of his philosophy as a whole. Also featured is an original essay by Desmond himself reflecting synthetically on the topics covered, as well as an interview by Richard Kearney. Many philosophers since Hegel have been disturbed by the thought that philosophy inevitably favors sameness over otherness or identity over difference. Originally published at a time when the issue was not so widely discussed in the English-speaking world, William Desmond here offers a constructive and positive approach to the problem of difference and otherness. He systematically explores the question of dialectic and otherness by analyzing how human desire inevitably seeks immanent wholeness in a manner that opens it to irreducible otherness. He faces the difficulties bequeathed to Continental thought by Hegelian dialectic and its tendency to subordinate difference to identity, whether appropriately or not. 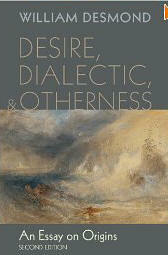 Unlike many recent critics of Hegel, he argues that we must preserve what is genuine in dialectic. Granting the positive power of dialectic, Desmond offers his first articulation of a further philosophical possibility--what he terms the Metaxological--a discourse of the "between," a discourse doing justice to desire's search for wholeness without any truncating of its radical openness to otherness. In a wide-ranging yet unified discussion, Desmond tackles such issues as the nature of the self, the ambiguous restlessness and inherent power of being revealed by human desire, desire's relation to transcendence, its openness to otherness in agapeic good will and in relation to the sublime as an aesthetic infinitude. Finally, Desmond brings this metaxological understanding to bear on the metaphysical question of the ultimate origin. William Desmond is currently professor of philosophy at Katholieke Universiteit Leuven as well as David Cook Visiting Chair at Villanova University. He is the author of many books, including Being and the Between (winner of the Prix Cardinal Mercier and the J.N. 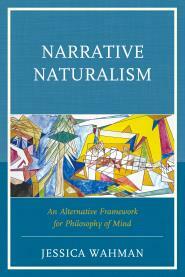 Findlay Award for best book in metaphysics, 1995-1997); Is There a Sabbath for Thought? : Between Religion and Philosophy; and God and the Between. He has also edited five books and published more than 80 articles. He is past president of the Hegel Society of America, the Metaphysical Society of America, and the American Catholic Philosophical Association. Click here to subscribe to the MSA-L or to change your subscription.